In October of last year we brought you fish that inspired scary Halloween costumes. 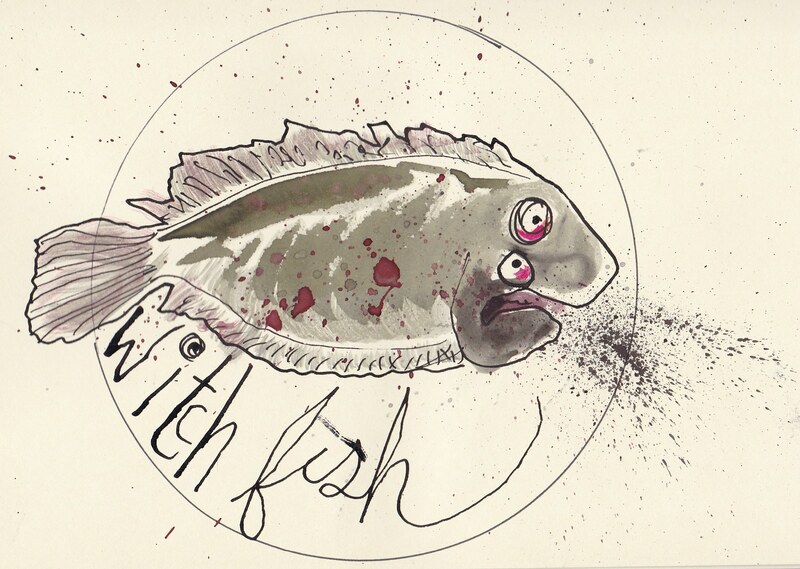 This year we bring you a new gang of ghastly fish with Halloween inspired names. 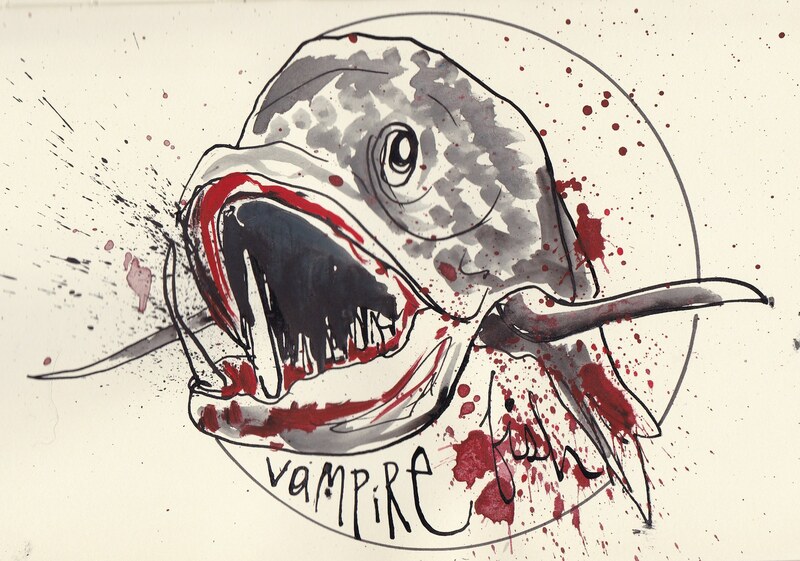 Vampire fish have massive 6 inch fangs used to impale fish. Although vampire fish have a Transylvania inspired name, they are native to the Amazon River drainage in South America, where they are locally known as the Payara. This flounder is found in the north Atlantic Ocean. In terms of being creepy, this fish is born with an eye on either side of its head, but while still young, the left eye migrates around the head to a position adjacent to its right eye. This peculiarity, unique to flatfish, lets them lay flat on the ocean bottom and not stare into the dirt. Just like a werewolf, who is neither wolf nor man, the wolf eel is neither wolf nor eel. The wolf eel is commonly mistaken as an eel because it has a long narrow body, but rather it is part of the “wolf fish” family. 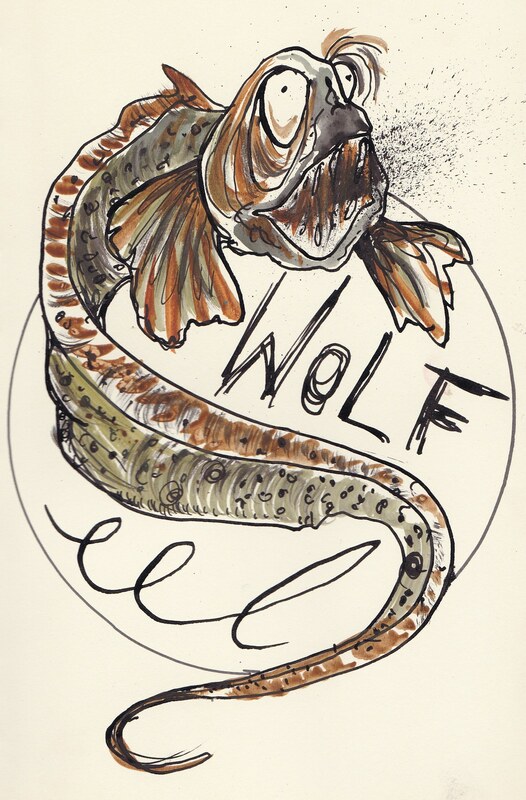 In true Halloween spirit, someone once said, “The Wolf Eel has the appearance of a fish, eyes of a snake, jaws of a wolf, and the grace of a gold fish.” Sounds like a real Frankenfish. Like the spooky skeletons that adorn the lawns of Halloween homes, the Bonefish takes its name from the many fine bones found within its body. Despite the bonefish’s lack of value as a food fish, it has a tremendous value to the sportfishing world. A recent study out of University of Miami indicated that every bonefish is worth up to $3,500 per year, and $75,000 over its lifetime, where catch-and-release is practiced. The scariest thing about bonefish is knowing that people spend that much money to catch these elusive fish. 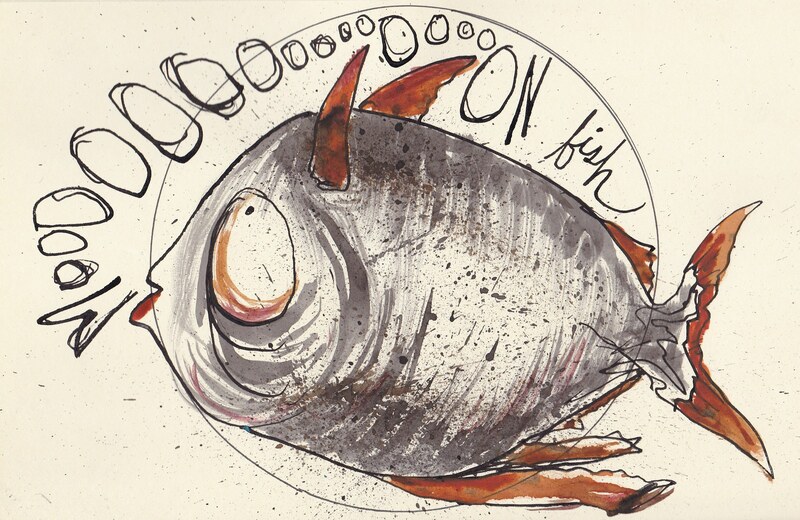 The moonfish, called Opah in Hawaii, is big and round like a full moon on a scary night. Hawaiians call this fish Opah, where the white flaky meat is a popular delicacy in restaurants. Just recently, this fish was discovered to be incredibly different from other fish. The moonfish is the only known endothermic fish that maintains its entire body temperature above the surrounding water temperature! All other fish are considered “cold blooded”. Does this make the moonfish a “warm blooded” killer? 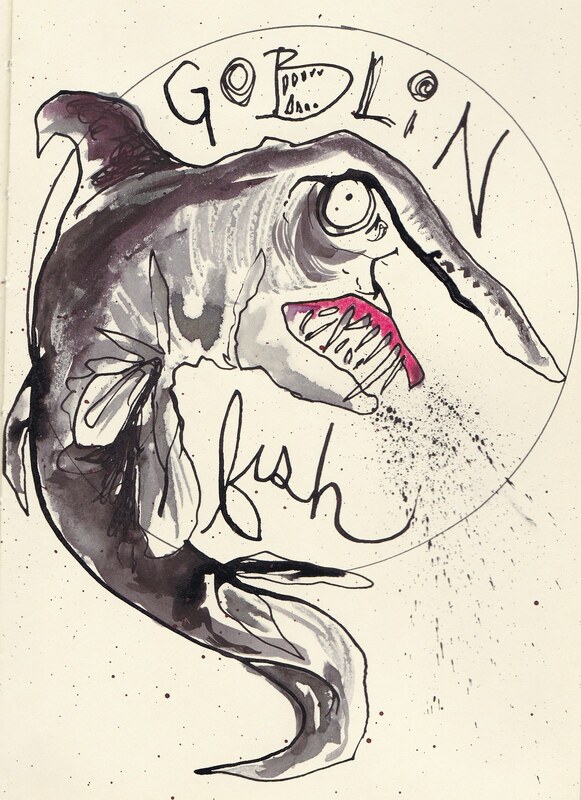 Just like a scary monster in a movie chasing the hapless victim, the goblin shark moves slowly and deliberately when tracking down its prey in the deeps of the ocean. The goblin shark has an odd look with an extended snout and jaws with sharp teeth that protrude from the face when biting. Hannah Dean is an artist by night. She works in ink, water colors, paint pens, and whatever else she can handle. Single speed bikes are her bailiwick. She just moved to Maine which is so beautiful it’s blowing her mind a bit. Contact her with art projects at hdean83(at)gmail.com or follow her on Instagram if you like @nodicenodice. 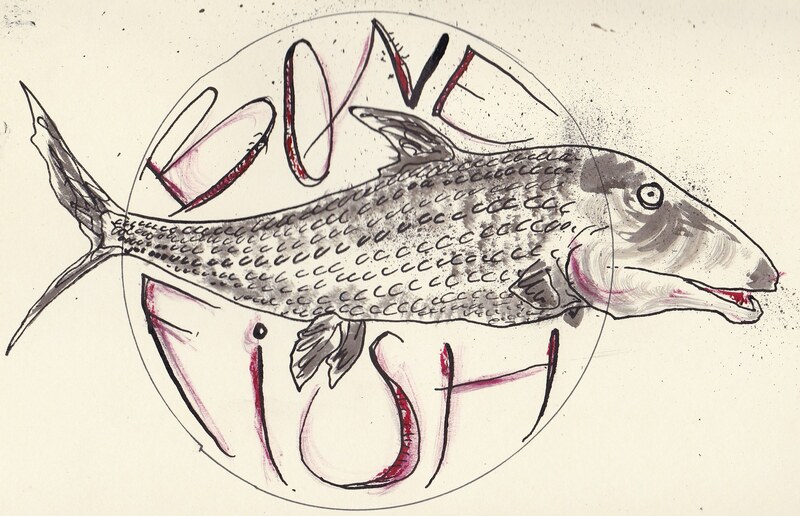 The Fisheries Blog has been paying attention to the talented Hannah Dean and her beautiful art for years. We are incredibly gracious for her taking the time to complete these haunting illustrations while in the middle of a move to beautiful Maine. 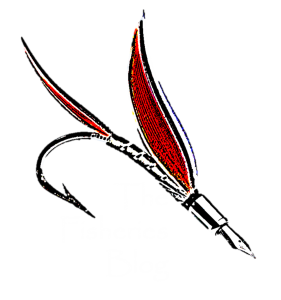 Don’t forget about last year’s article with fish that inspired scary Halloween costumes. Previous Post Why aren’t insect aquaculture feeds more common?